For the 88th episode we introduced a new reviewer, Scott “The Wine Guy” and we discussed the topic of what is our favorite wine or beer food pairings. We then had a another blind review show dedicated to The Bruery, featuring the Reserve Society specific beers which were White Chocolate and Chocolate Rain. 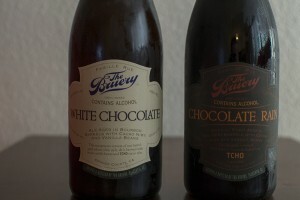 Posted in Blind Taste Testing (2011 - 2013) and tagged beer food pairing, beers, chocolate rain, food pairing, food pairings, The Bruery, white chocolate, wine food pairing, wine guy.